Ohh it feels good to be back working on this planner carnival, last year we started this series as “Confessions of a Plannerholic” and it was just 2 of us and now it has grown into lots of lovely ladies all with different views and opinions, all talking about the same topic on every Monday. Emma has worked really hard to promote this series and bring such a diverse group of women together.. of course we all have planners and stationery in common which makes us all awesome!! So this Monday’s post was meant to be for us to show off our 2017 set up and review on last years planner journey, because I have already blogged about my 2017 set up I will make this more of a reflective post on last year..
Before I start any blog post I like to have a little list of thoughts and ideas ready so that that the writing flows easily and from the list I made for today I can say one thing for 2016.. I couldn’t make my mind up haha.. I literally chopped and changed from an A5 planner which I used for functional planning to decorating it every week then onto a personal sized which again i chopped and changed from decorating to functional. I then ordered a new Erin Condren when they were released and loved that for a while. 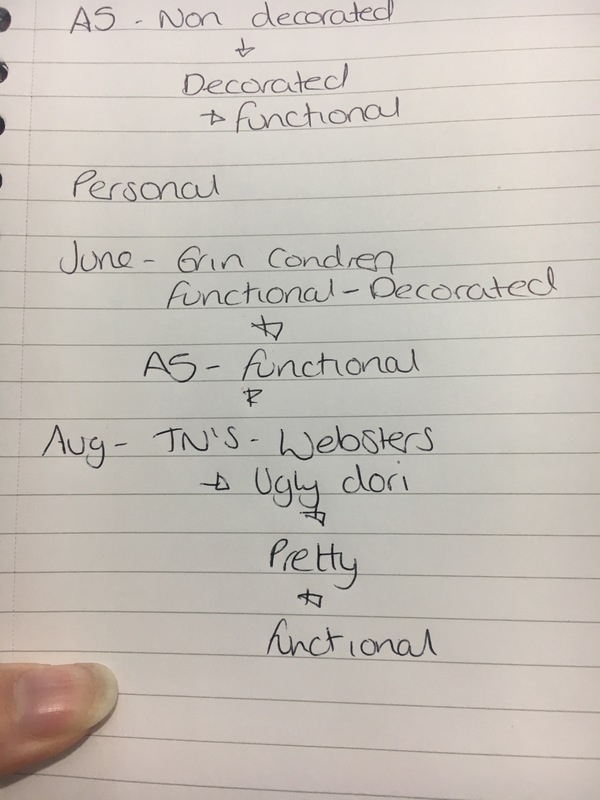 I don’t think I really settled into a planning system until I purchased my first Travellers Notebook, then I knew I had a system that I could tailor to suit me, yes I know that you can do the same with a ring planner but to me the TNs just felt like “home” I started carrying it everywhere with me and then obviously the UglyDori was born. I am starting this year with more planners than I have ever had on the go atone time and I am at peace with that, i’ve decided to let me creativity shine through decorating a memory planner and will carry on building my bullet journalling with me desk diary (unless my hints are picked up by my husband and an A5 hobonichi lands on my desk for my birthday haha). Thank you for reading, please go along and check out the other posts from the other ladies taking part in this series.